Coles supermarkets are launching a travel bookings website allowing customers to use and accumulate FlyBuys points. The FlyBuys rewards program, which was first introduced in 1994, will now let customer’s book flights, hotels and car hires through the one website called FlyBuys Travel. Every time a customer makes a booking on the website they will be entitled to new FlyBuys points. FlyBuys Travel has launched after Woolworths announced in December 2015 that it would be reversing an unpopular decision to axe the partnership between its rewards program and Qantas Frequent Flyer Points. Coles Digital and Financial Services Director Roger Sniezek said Coles decided to establish the website due to demand for low-cost travel. “With over two-thirds of Australian households actively using a FlyBuys card, we are pleased to continue to provide members with new and meaningful ways to collect points or redeem points to travel for less,” Sniezek said. Coles joined with Corporate Travel Management in order to create the website. 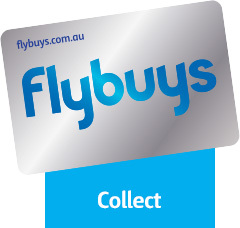 FlyBuys card owners can accumulate points from Wesfarmers owned businesses including Coles, Target, Kmart and Liquorland. Coca-Cola South Pacific has launched its 2016 Rio Olympics marketing campaign.